Basalt Reynisdrangar Sea Stacks rise from the sea just off the coastal Village of Vik. 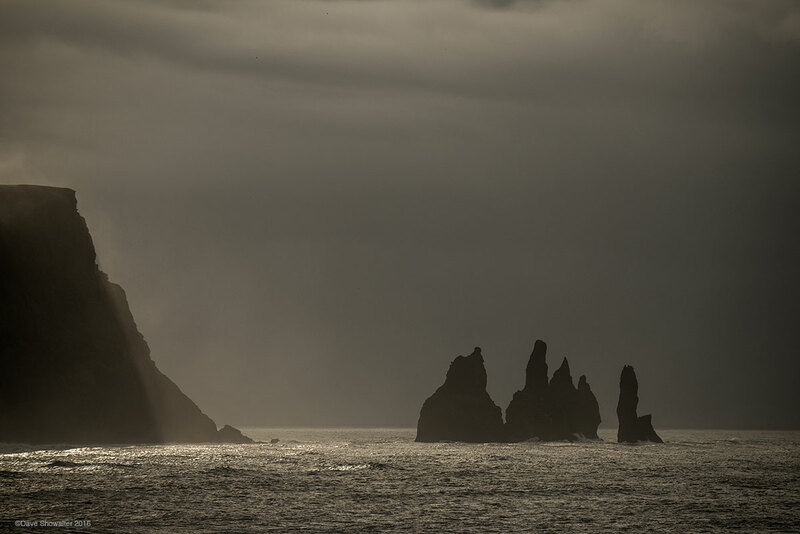 Icelandic legend tells the story of trolls dragging a three masted ship to land and failing - they turned to needles of stone at daybreak. . Photo © copyright by Dave Showalter.